Something sinister is coming to AMC. 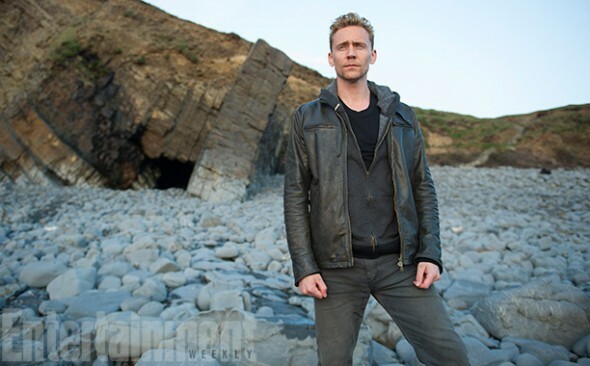 Entertainment Weekly recently released the first image from the network’s upcoming spy mini-series, The Night Manager. The series will air on both AMC and the BBC this April. Based on John le Carré’s 1993 book of the same name, The Night Manager tells the story of MI6 agent Jonathan Pine (Tom Hiddleston), who is recruited by British intelligence to gain information on Richard Onslow Roper (Hugh Laurie), “a morally ambiguous weapons dealer.” Olivia Coleman, Elizabeth Debicki, and Tom Hollander also star. Previously, the novel had been optioned as film for Brad Pitt’s production company, but it never took off. The mini-series is directed by Susanne Bier. What do you think? Have you read John le Carré’s novel? Will you watch the series? Whoever made this trailer must’ve been drunk. My cat could do better!